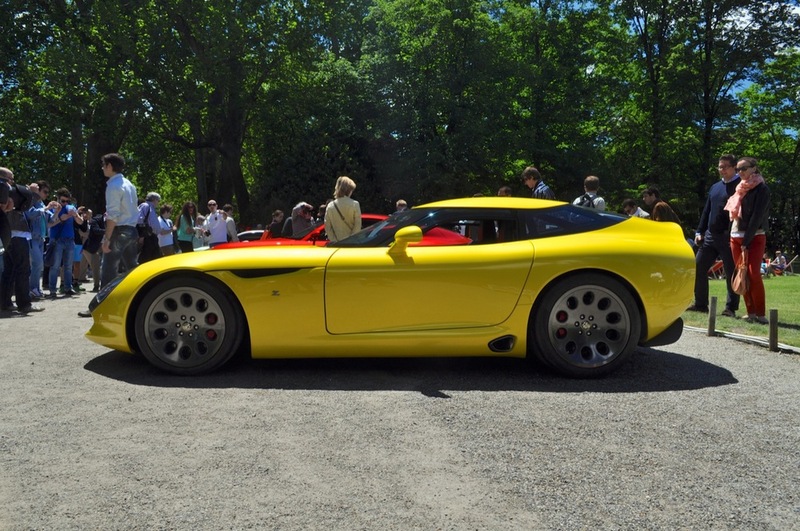 The Alfa Romeo TZ3 Stradale. 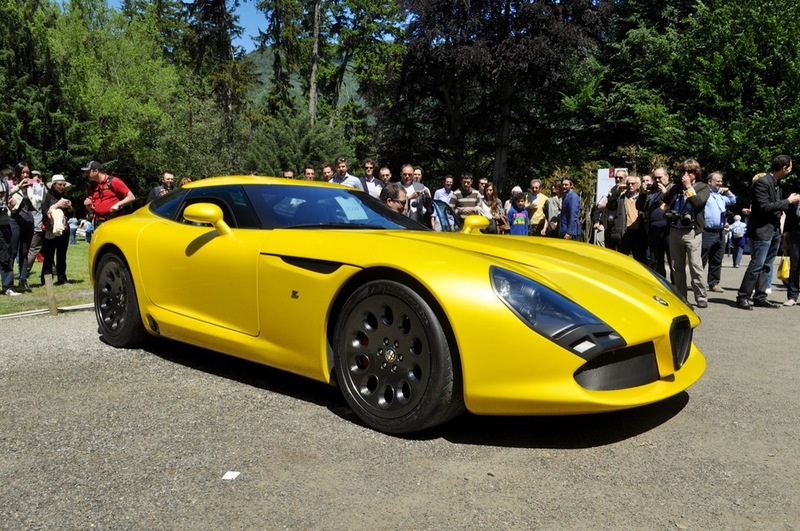 Zagato built 9 of these beautiful machines to celebrate Alfa Romeo's 100th anniversary in 2011. It's based on the Dodge Viper ACR-X and sports its 8.4 liter V10 engine that produces 640 bhp, but features an all-new carbon fibre body. 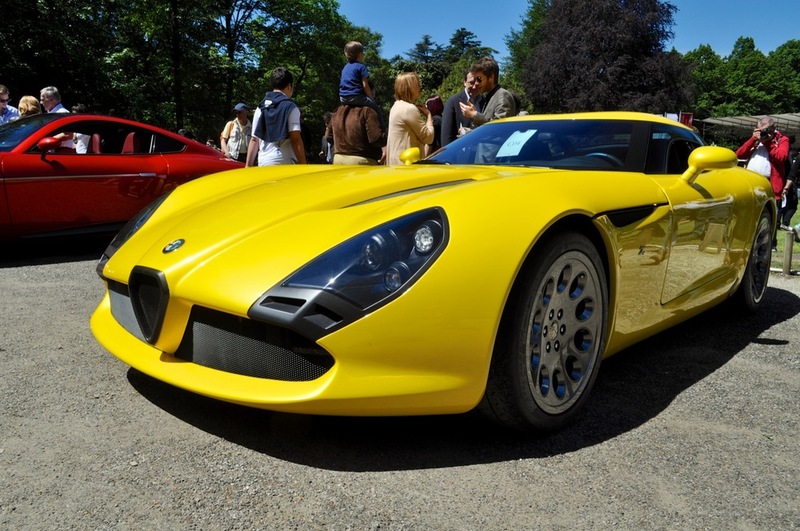 The design was inspired by the Alfa Romeo Giulia TZ (Tubolare Zagato) and TZ2 from the 1960s, probably the most famous Alfas with Zagato bodywork. 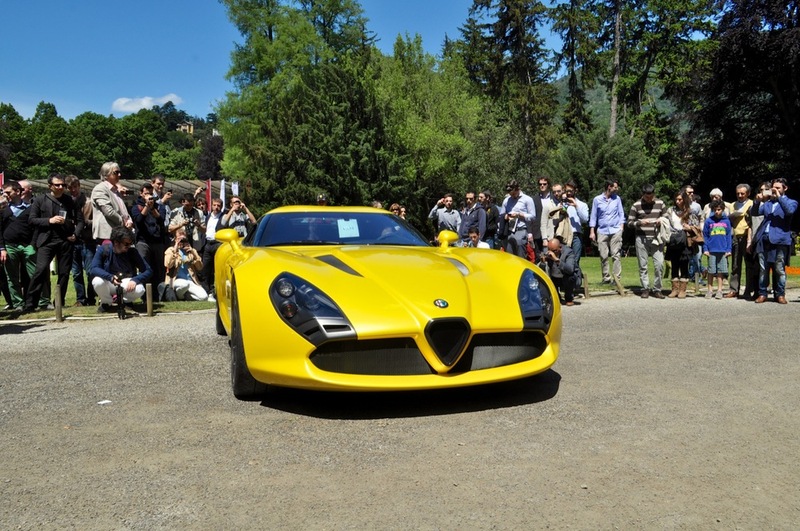 While I was taking pictures of this beautiful beast, I met Farhan Al Bastaki, Zagato Ambassador in the Middle East, and Andrea Zagato, CEO.